We all know that plants are essential for our survival, providing as they do the oxygen that we breathe as well as an astounding array of leaves, fruits and roots to feed us. Plenty of plants are hailed as "superfoods” thanks to their rich nutritional value. 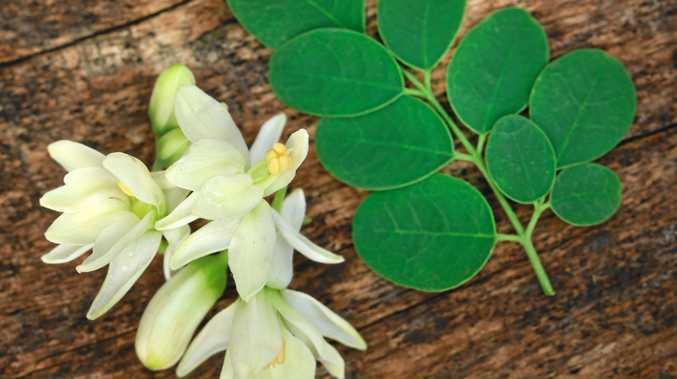 Among these, moringa oleifera is particularly powerful and is promoted by the UN, UNESCO and WHO for its health and nutritional benefits, especially to children and nursing mothers in third world countries. Moringa oleifera contains more than 90 nutrients, 46 antioxidants, 18 amino acids and 36 anti-inflammatories. All parts of the plant can be eaten, and it has been used medicinally for thousands of years. It's not surprising, then that this tree is known by various superlatives, including miracle tree and tree of life. It is a fast-growing, slender, deciduous tree native to India, where it can grow to 12m tall. It is drought tolerant and pest resistant. It can be grown in full sun to part shade. It is not frost tolerant, so if you live in a colder climate you could grow it as an annual. The leaves make a good spinach substitute in summer - they can be eaten raw in salads and smoothies, or cooked in soups, stews, curries, etc. You can also harvest and freeze them so you have them through winter. The fragrant white flowers can be eaten raw or cooked, you can even steep them in boiling water to make tea. But leave some flowers so that the seed pods develop, because these, too, are edible, and give rise to yet another common name, drumstick tree. The seed pods resemble long, thin beans, and are said to taste a bit like asparagus. They are cooked in lots of different ways, and make a good substitute for green beans if harvested when young and tender. Each pod contains five to 20 seeds. If pods mature and turn brown, the seeds can be removed and cooked like green peas or roasted like nuts. Even the roots are edible and taste like horseradish, so moringa is also known as horseradish tree. Experts recommend that the tree is cut to 1-2m each year to keep the leaves, flowers and seed pods within reach. While that sounds like a chore, you can relax - because the tree grows quickly, the wood is quite soft, so it is easy to cut. Moringa is also recommended for animal fodder, and is an source of green manure. No wonder they call it the miracle tree.